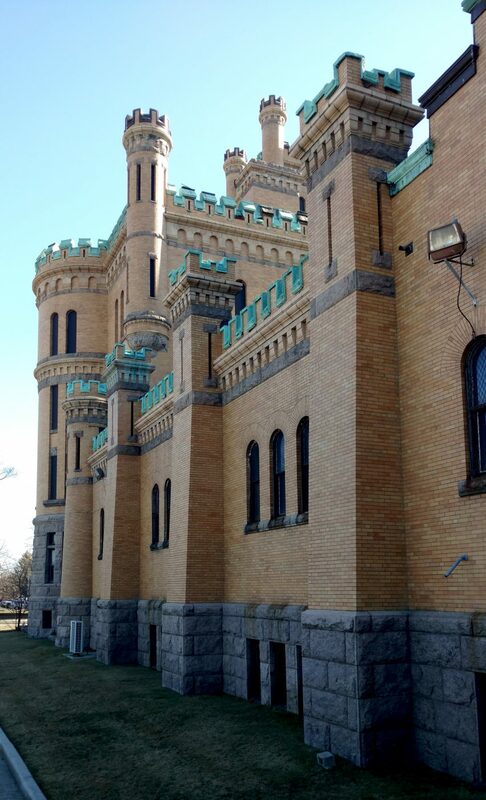 Utile is working with the State of Rhode Island and a Steering Committee to develop a reuse plan for the iconic Cranston Street Armory, located in the West End neighborhood of Providence. The 190,000 square foot former National Guard armory, which could be mistaken for a fairytale castle, takes up an entire city block and towers above the one- and two-family homes that surround it. Yet as with many armories across the country, the building has been underutilized to nearly vacant in recent decades, and multiple previous plans have failed to come to fruition. Utile helped the stakeholders approach the question of repurposing the building in a more strategic way, targeting potential reuses that leverage the building’s unique assets. 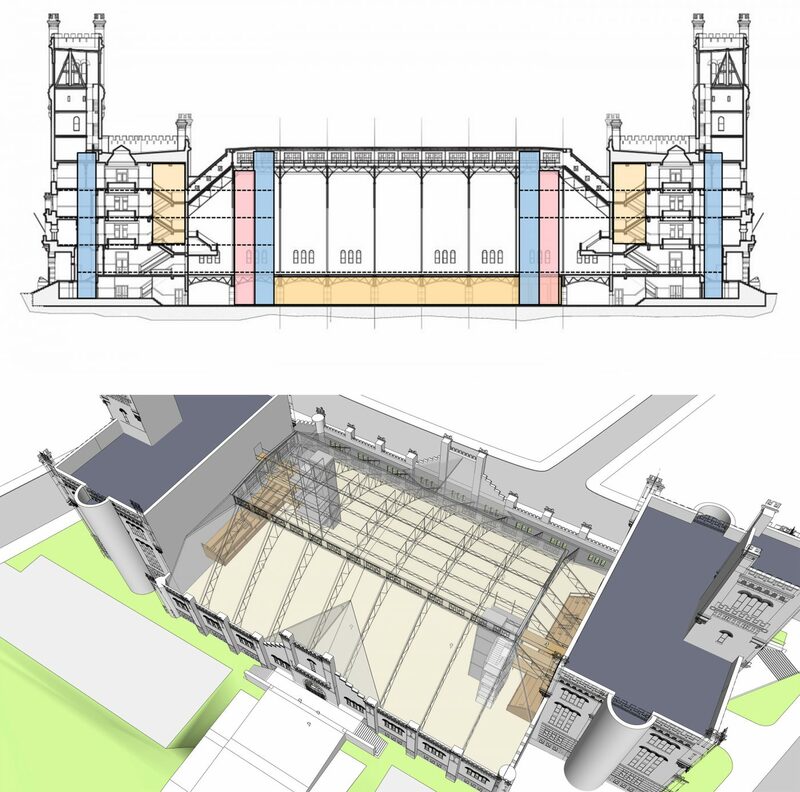 The project team developed a framework for repurposing the building as a collection of potentially independent spaces within the drill hall and towers, and conducted a study of the building upgrades, such as restrooms, vertical circulation, and ADA access, that would be required for any reuse scenario. Flexibility and a phased approach were key to the strategy. The team sought to structure capital upgrades to have multiple benefits. 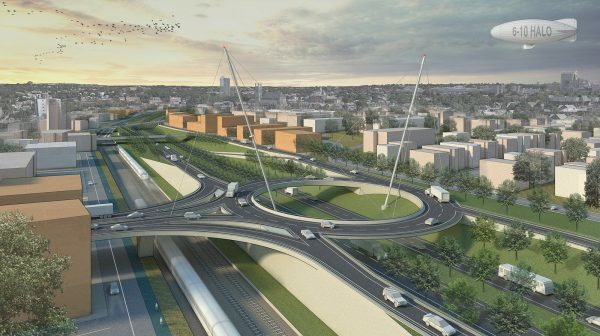 For example, creating new entrances to the towers from Cranston Street not only solves ADA access, it has important community-building benefits as well. For many years, the Armory has been a more imposing than welcoming presence in the community south of Cranston Street, which has high populations of low-income and immigrant residents. Creating new entrances on each of the Cranston Street corners will send a very visible signal that those neighbors are invited in. Utile and its local landscape architecture partner, Searle Design Group, also looked at the relationship of the Armory to its former parade grounds, now the City of Providence-owned Dexter Park. Utile and Searle developed strategies for linking the building and the landscape. As an outcome of Utile’s work, the State of Rhode Island will release a Request for Information to gauge interest by potential occupants of the Armory. 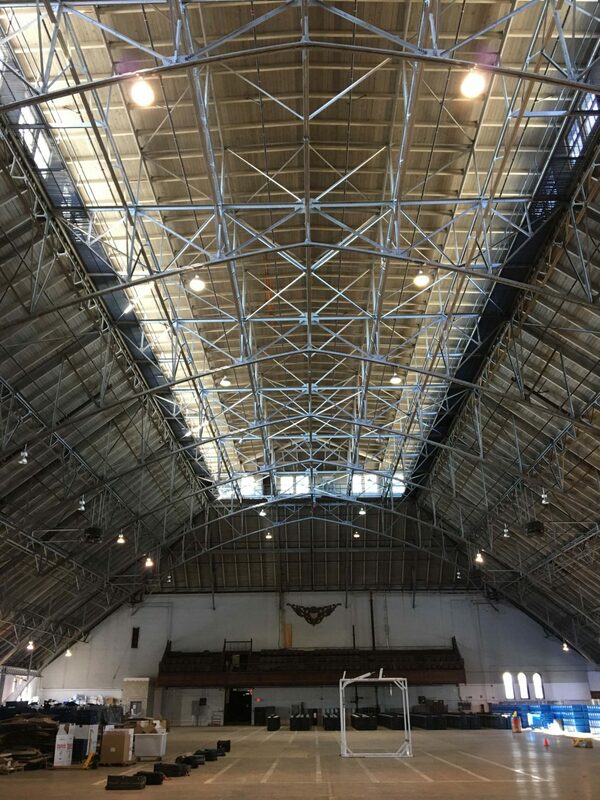 Learn more about the project at the Cranston Street Armory Reuse Plan website.